Grand Cayman, Cayman Islands, September 21, 2018. 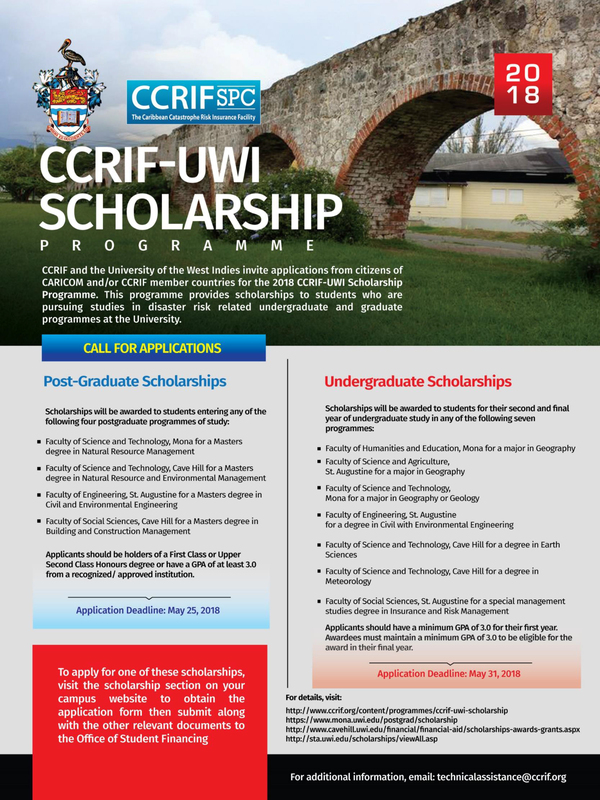 CCRIF SPC is pleased to announce its UWI-Scholarship and CCRIF Scholarship (extra-regional) winners for 2018. This year, CCRIF provided scholarships valued at US$129,000 to 14 Caribbean nationals. 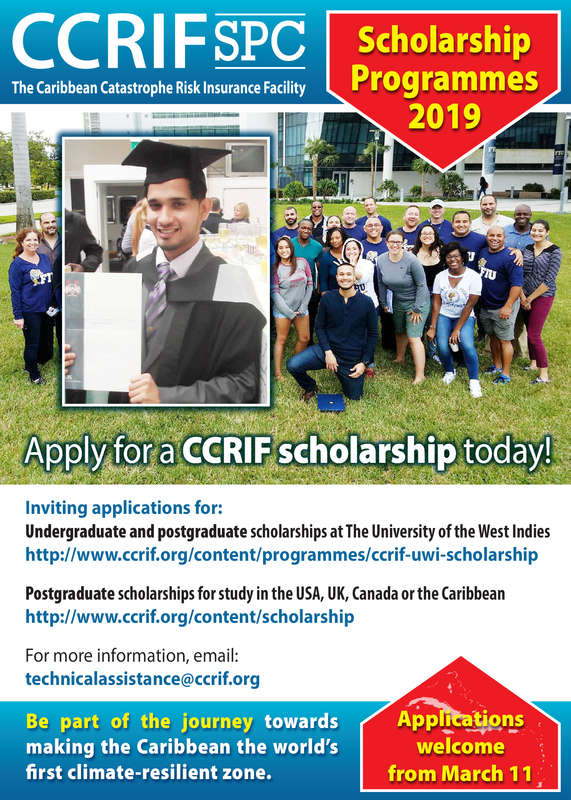 CCRIF provides scholarships and internships each year to Caribbean nationals as part of its Technical Assistance (TA) Programme. 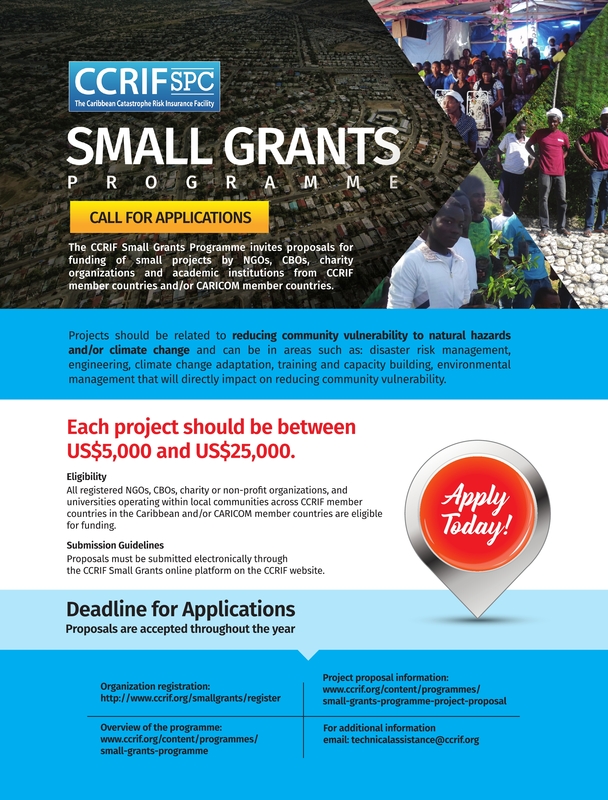 CCRIF which is akin to a not-for-profit organization, uses profits made to benefit its members through reductions in premium costs and by funding the Technical Assistance Programme. The resources made available for the TA Programme are derived from a portion of CCRIF’s earned investment income. The CCRIF Board of Directors and Chief Executive Officer met with some of this year’s scholarship recipients when CCRIF held its quarterly board meeting in Kingston, Jamaica. On meeting the students, CCRIF Chairman Timothy Antoine remarked that “I too am a proud Pelican and I am delighted to meet with you today. You are the future of our region and I am pleased that CCRIF had the foresight to invest in you as we seek to advance solutions for the sustainability of our region”.